You know, the F-35 may have had a lot of problems and it may be overpriced and late and whatever. I don't care. It still looks amazing. 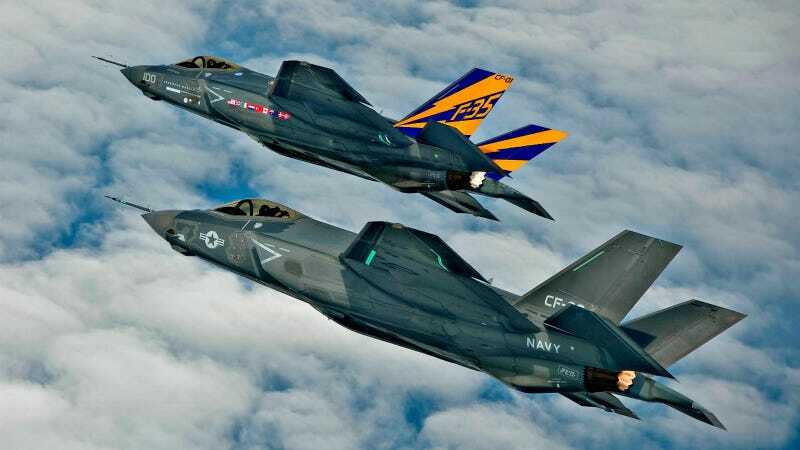 This photo of two F-35s flying in formation is so awesome that it is now my new desktop picture.